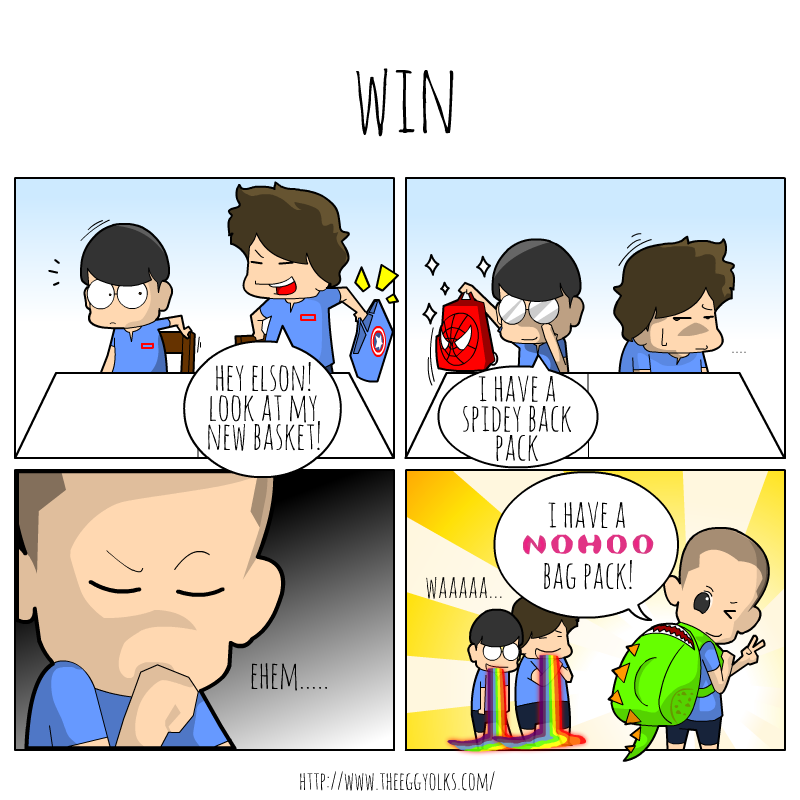 Its actually very common for kids to have bags nowadays especially when they are at the age of entering kindies. Going to school with a nice backpack makes a lot of different. Kids love bag with unique designs! It makes them look super cool and confident. However, making a good choice when buying a kid's bag is not as easy as you thought. There are few things that you must look into before making the final decision. 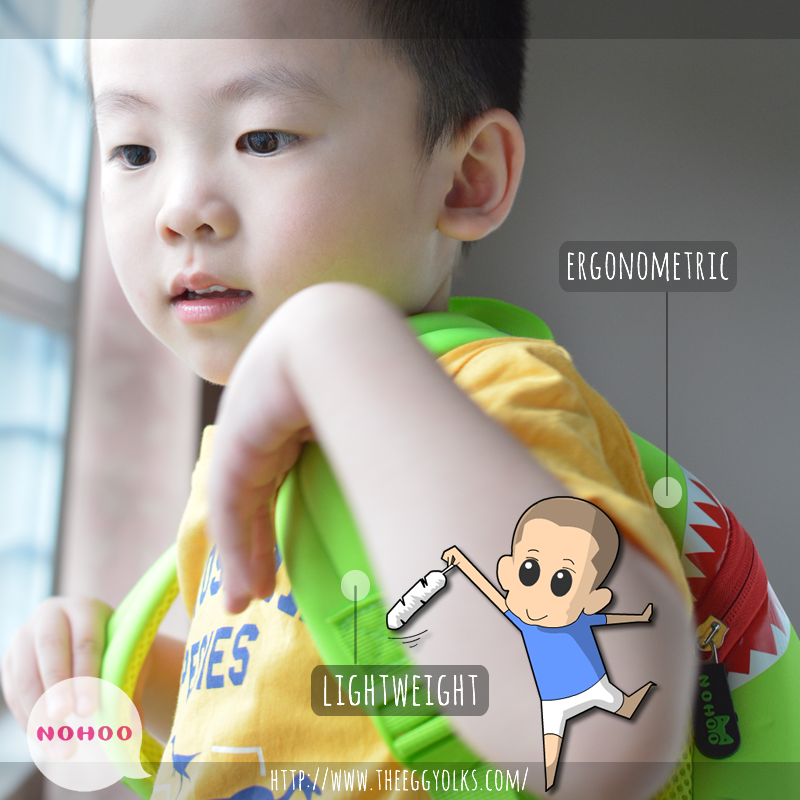 Make sure it's light with ergonometric design. Carrying books are heavy enough, we don't want unnecessary weight and pressure on our kid's shoulder. Kids can be clumsy. Always get a waterproof bag to avoid important books gets soaked when accident occurs. Kids get sick easily due to weaker immune system. 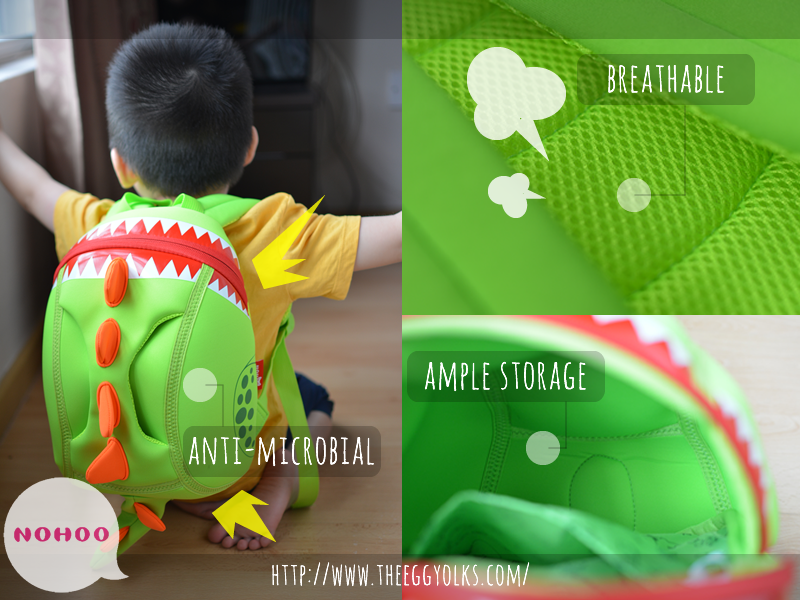 That's why a washable yet anti-microbial bag plays an important role in reducing the risk of bacterial infections. It's material has to breathable too! With our hot and damp weather, kids sweats easily and that's the main cause of rashes. In case you find that the bag doesn't suit your kids, they allow you to return the bag within 14 days and get a full refund! 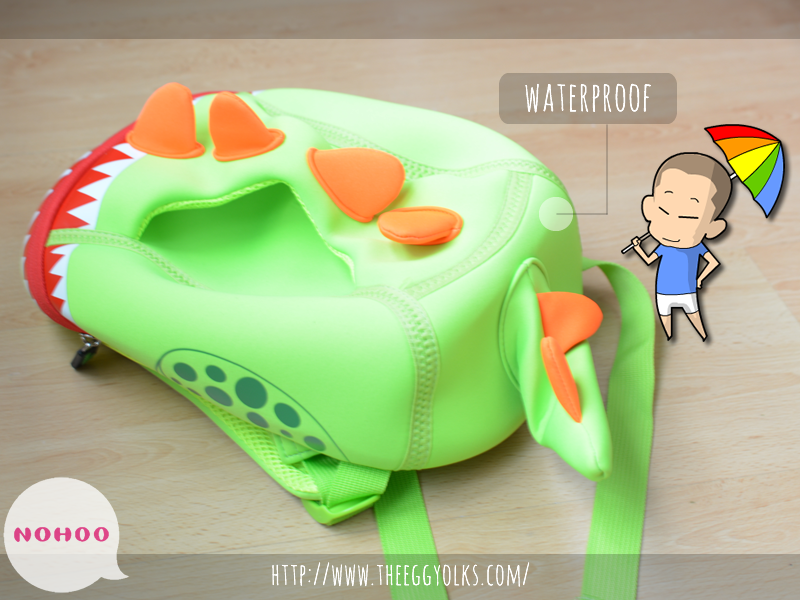 After trying the backpack, little yolkie likes it so much that he even requested to replace the bag with his bolster. He is always a fan of dinosaurs. 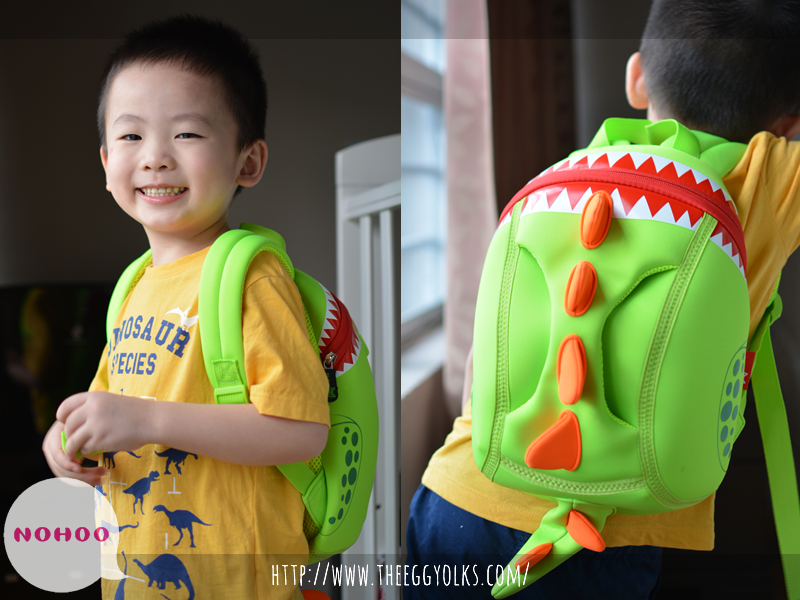 This uniquely designed dino backpack is no doubt his favourite! With it's high quality material, I bet we don't have to worry about it getting spoiled anytime soon. But even if anything happens to its zip, strap of buckle, they are all covered by their warranty! That definitely give us a peace of mind. 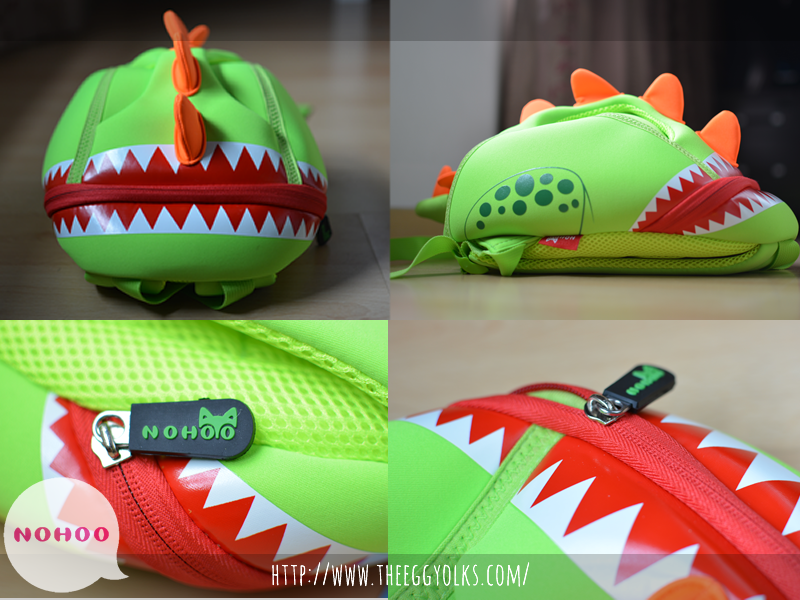 If you're interested in their bags, head down to their website to find out more @ nohoo2u.com. 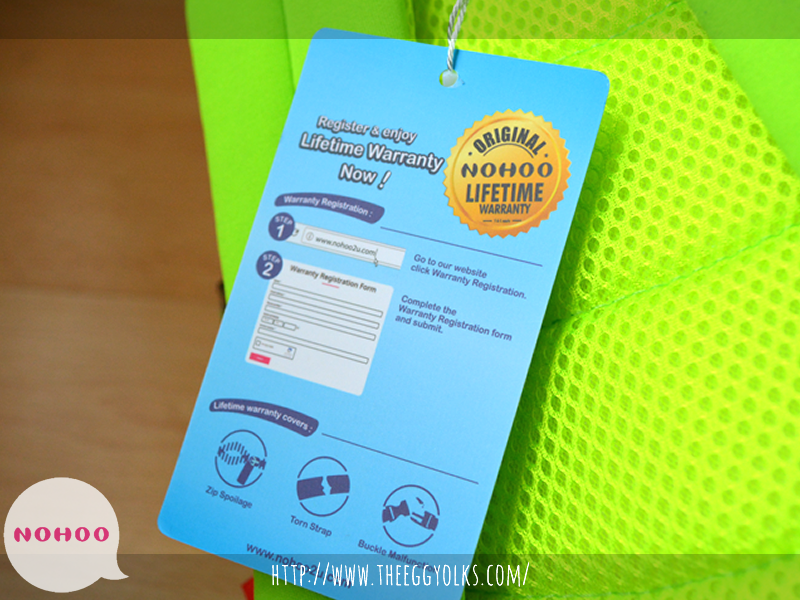 And if you've decided to buy them, remember to add "eggyolkslovesnohoo" into the promo code and enjoy an RM10 rebate! 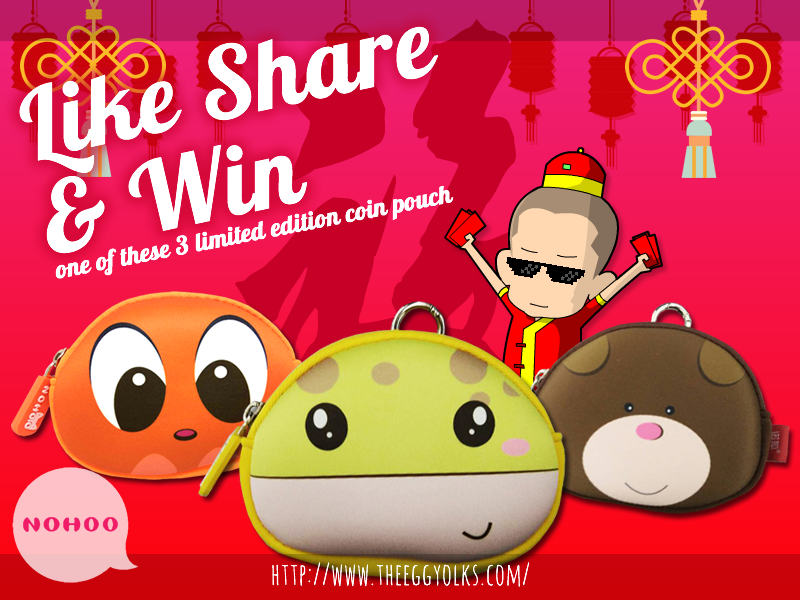 In conjunction of this coming Chinese New Year, Nohoo Malaysia will be giving out 3 limited edition coin pouch! Who knows, these coin pouch might just brings you "ONG" and get you a lot of Ang Paos!! 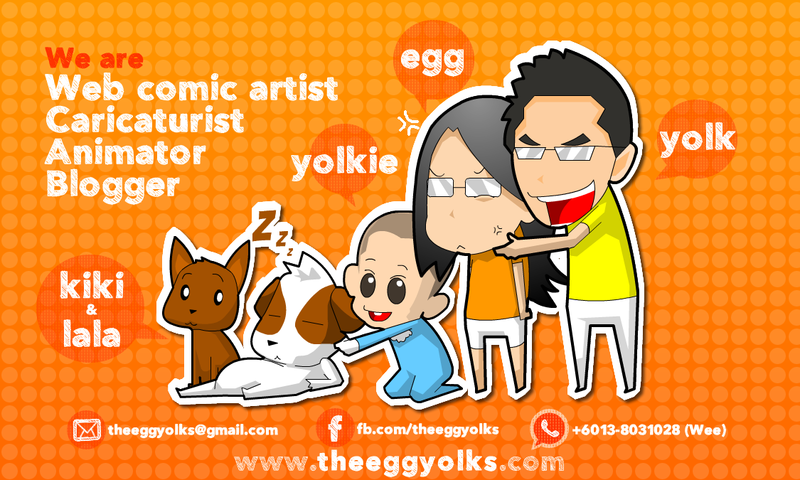 Visit theeggyolks Facebook page for more details! Remember to like Nohoo2u Malaysia Facebook page too!